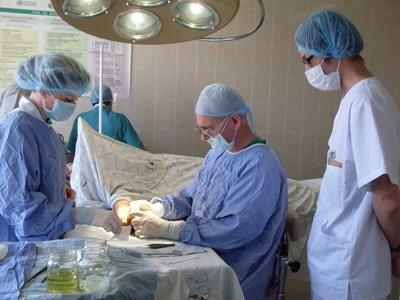 On this volunteer medical project you can choose to work at one of two placements. You can experience the high-paced work environment of a local Romanian hospital's emergency ward, or you can use your experience as a professional doctor to assist at a local family doctor's clinic in Brasov. At the hospital, you will assist with urgent procedures for cases such as car accidents, heart attacks, and seizures. You will also help with routine procedures, such as taking a patient's blood pressure. Working hours at he hospital can be up to 8 hours a day. At the family medicine practice, you will work alongside local doctors and treat patients with chronic illnesses, such as diabetes and high blood pressure. Working hours at the family practice will be between 4-5 hours a day. Many of the patients you will treat will be from deprived backgrounds. You can provide a fresh perspective on healthcare treatment by sharing your technical knowledge with local staff. Diagnosing medical conditions and planning or providing appropriate treatment. Organizing preventative medical programs for individual patients. Providing advice on medical care and immunization etc. Helping with medical outreach programs within nearby towns and villages (optional). Discussing ways of developing and improving working practice. This may include producing an action plan. Observing and assessing the work of local trainee doctors. Helping with training clinics for Projects Abroad volunteers working with other clinics (optional). You will be expected to work Monday to Friday for around 8 hours per day. You will agree the exact work schedule with your project supervisor on your first day in Romania. 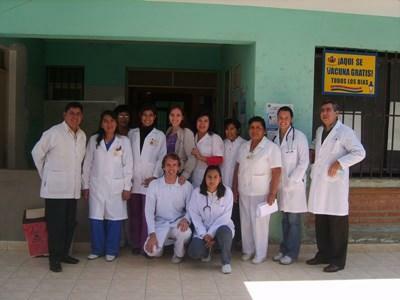 You will gain experience working in a country where medical practice is different from what you are used to back home. By spending time with local doctors and patients, you will learn a lot about healthcare in Romania, and by oberving, develop your own treatment methods. Local doctors will want to share ideas with you and discuss ways of developing your skills. You will also learn about Romanian culture and way of life by spending time in local communities. Staff and patients will want to hear about your life back home and your family and friends. We call this "cultural exchange" and we think it helps our volunteers gain a new perspective on life. You need to be fully qualified as a doctor and have a relevant license to practice in your country of residence. Please contact us if you think your knowledge may be useful on this project but do not have the required qualifications.